The classic look of canvas with a Superga spin. Unlined canvas upper. Sporty stripe for athletic detail. Dual hook-and-loop closure for secure fit. Cushioned insole offers lightweight comfort. Flexible rubber sole provides great traction. Imported. Measurements: Weight: 5.8 oz Product measurements were taken using size 25 (US 8.5 Toddler), width M. Please note that measurements may vary by size. Weight of footwear is based on a single item, not a pair. 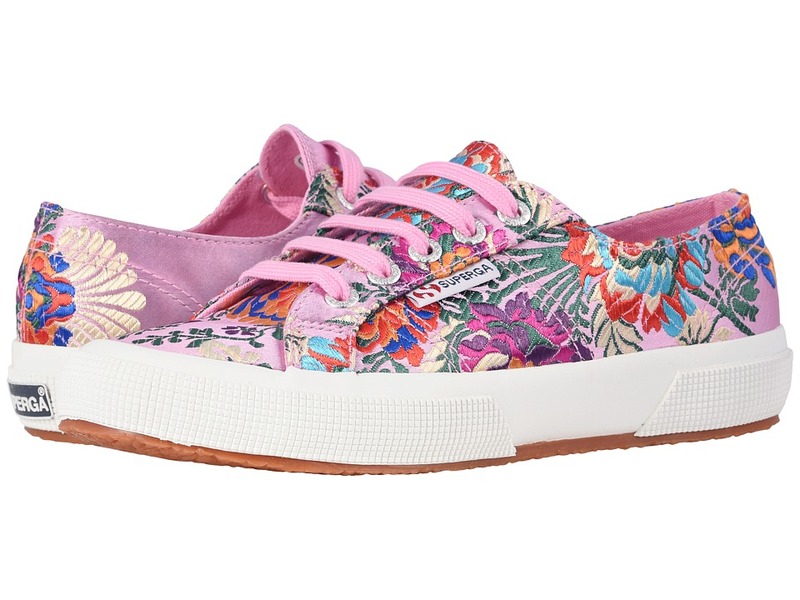 Elevate your fun look with the Superga 2790 Cotmultifoxing W Platform Sneaker! Canvas upper. Lace-up closure. Breathable canvas lining. Cushioned footbed. Multicolored midsole. Durable rubber outsole. Imported. Measurements: Weight: 11 oz Product measurements were taken using size 39 (US Women~s 8), width Medium. Please note that measurements may vary by size. Weight of footwear is based on a single item, not a pair. Set out for a day of adventure with the 2288 Vcotw Sneaker Mule by Superga. Canvas upper in a slip-on mule silhouette. Lace-up closure. Canvas lining. Cushioned footbed provides sustained comfort for all-day wear. Natural rubber, crepe-textured outsole offers traction and durability. Imported. Measurements: Weight: 11 oz Product measurements were taken using size 38 (US Women~s 7.5), width Medium. Please note that measurements may vary by size. Weight of footwear is based on a single item, not a pair. 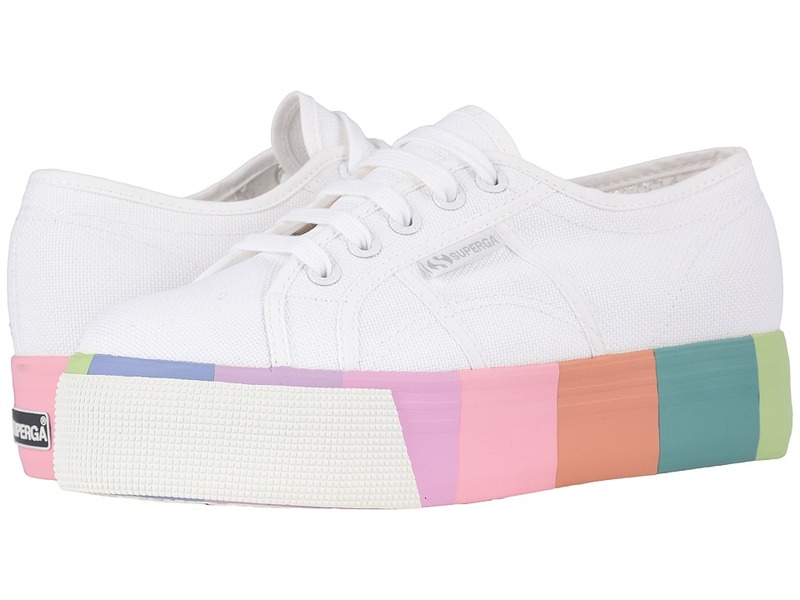 The Superga 2750 FGLU Platform Sneaker offers the perfect style for those hot summer days when you need a little more comfort and style to get you through! Leather upper. Lace-up closure. Round toe. Breathable textile lining. Cushioned footbed. Natural rubber sole. Imported. Measurements: Weight: 1 lb 3 oz Product measurements were taken using size 39 (US Women~s 8), width Medium. Please note that measurements may vary by size. Weight of footwear is based on a single item, not a pair. Clown around with a little color in the Superga 2750 Coloreycotw Sneaker. Sturdy cotton unlined canvas upper. Lace-up design with multi-colored grommet detailing. Signature round-toe Superga silhouette. Iconic side branding tag. Soft textile lining ensures an abrasion-free environment for all-day wear. Cushioned, non-removable footbed provides sustained comfort. Natural rubber, crepe-textured outsole offers traction and durability. Imported. Measurements: Weight: 1 lb Product measurements were taken using size 39 (US Women~s 8), width Medium. Please note that measurements may vary by size. Weight of footwear is based on a single item, not a pair. Orient an eye-catching ensemble with the Superga 2750 Korelaw Sneaker. Embroidered textile upper. Lace-up closure with metal eyelets for an adjustable fit. Signature round-toe Superga silhouette. Iconic side branding tag. Soft textile lining ensures an abrasion-free environment for all-day wear. Cushioned, non-removable footbed provides sustained comfort. Natural rubber, crepe-textured outsole offers traction and durability. Imported. Measurements: Weight: 8 oz Product measurements were taken using size 39 (US Women~s 8), width Medium. Please note that measurements may vary by size. Weight of footwear is based on a single item, not a pair. 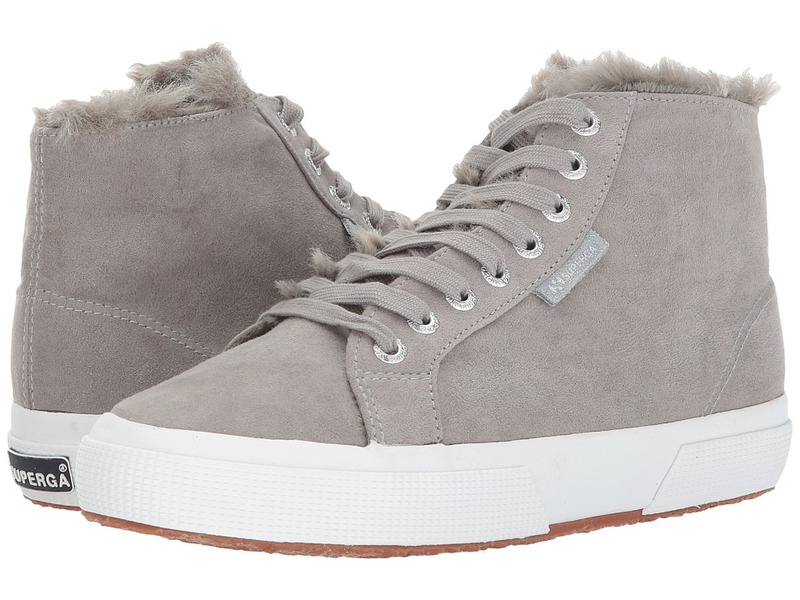 Keep it cozy and stay fashionably up to date on the latest trends with the 2795 Syntshearlingw mid sneaker by Superga. Synthetic suede upper. Lace-up closure. Faux-fur lining. Cushioned insole. Durable rubber outsole. Imported. Measurements: Weight: 14 oz Product measurements were taken using size 39.5 (US Women~s 8.5), width Medium. Please note that measurements may vary by size. Weight of footwear is based on a single item, not a pair. The Superga 2750 COTU Classic Sneaker is the casual shoe of your dreams. 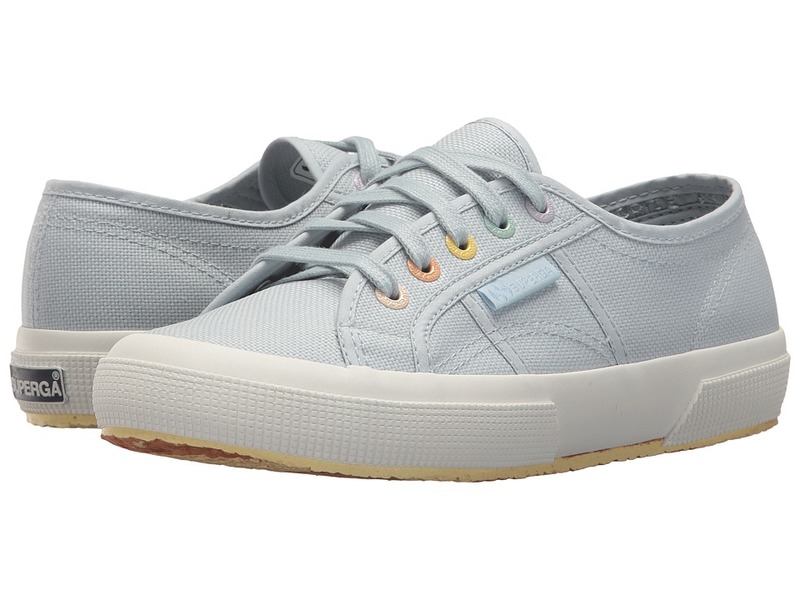 Lace-up sneaker boasts a sturdy unlined cotton canvas upper. Cushioned footbed provides sustained comfort for all-day wear. Natural rubber outsole offers traction and durability. Machine wash, air dry. Imported. Measurements: Weight: 14 oz Product measurements were taken using size 40 (US Women~s 9), width Medium. Please note that measurements may vary by size. Weight of footwear is based on a single item, not a pair. Add pure perfection to your seasonal style with the Superga 2314 Velvetjpw slip-on platform. Luxurious velvet upper. Slip-on with side goring panels and padded collar for optimal comfort. Classic round-toe silhouette. Textile lining and insole. Cushioned footbed provides sustained comfort for all-day wear. Natural rubber outsole offers traction and durability. Machine wash, air dry. Imported. Measurements: Weight: 1 lb 2 oz Platform Height: 1 1 2 in Product measurements were taken using size 39.5 (US Women~s 8.5), width Medium. Please note that measurements may vary by size. Weight of footwear is based on a single item, not a pair.